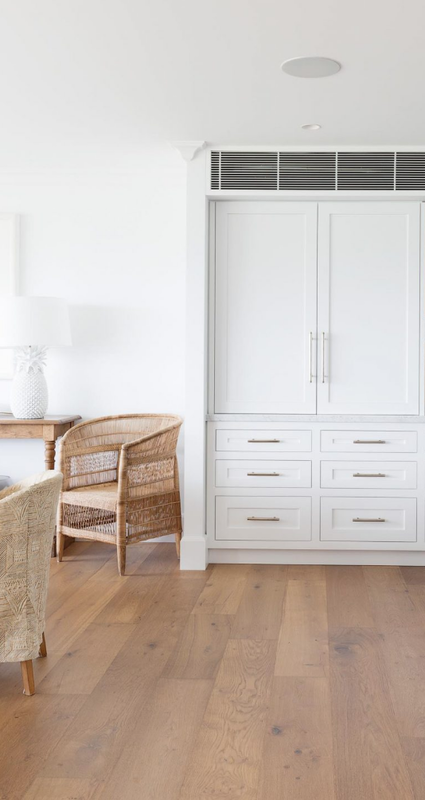 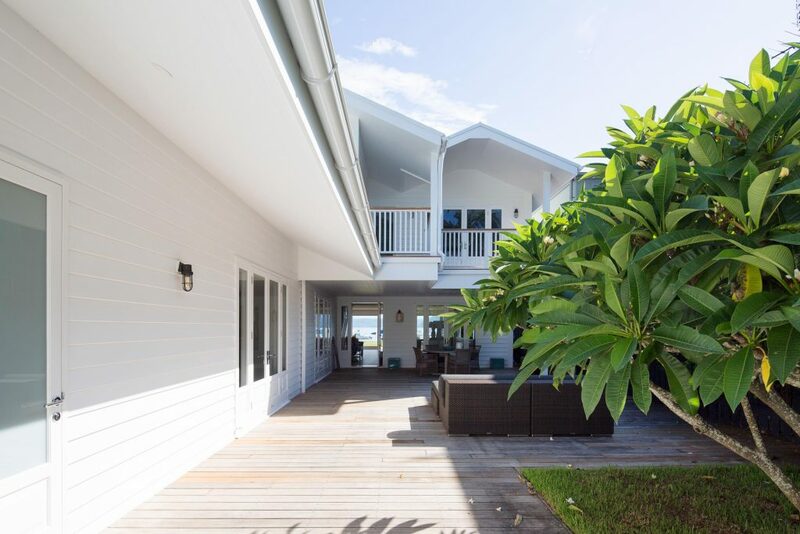 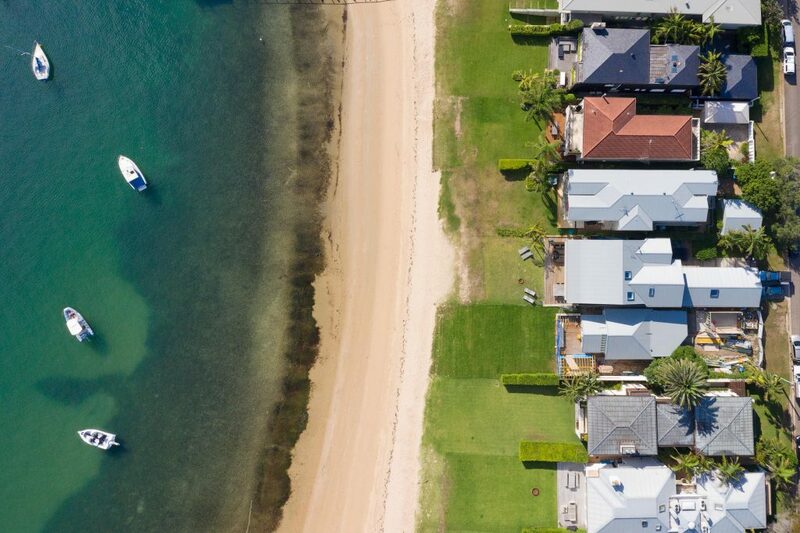 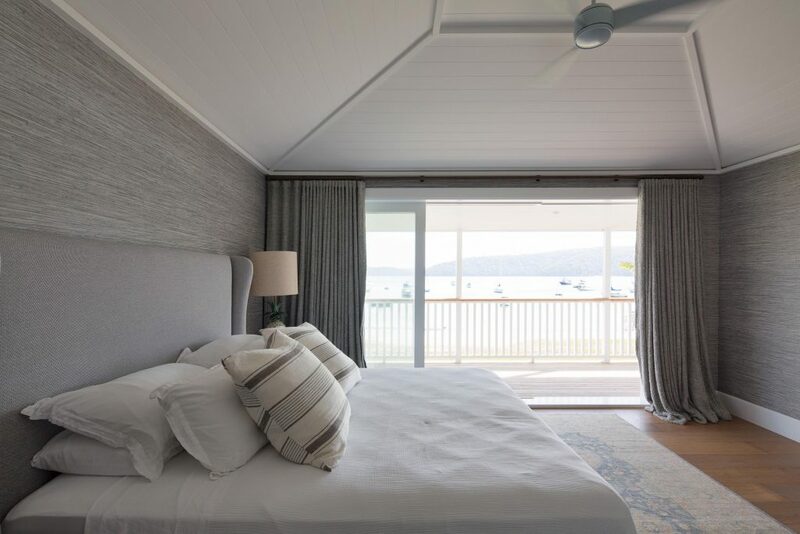 Located on beautiful Iluka Road in Palm Beach, this beach house was in need of rejuvenation. 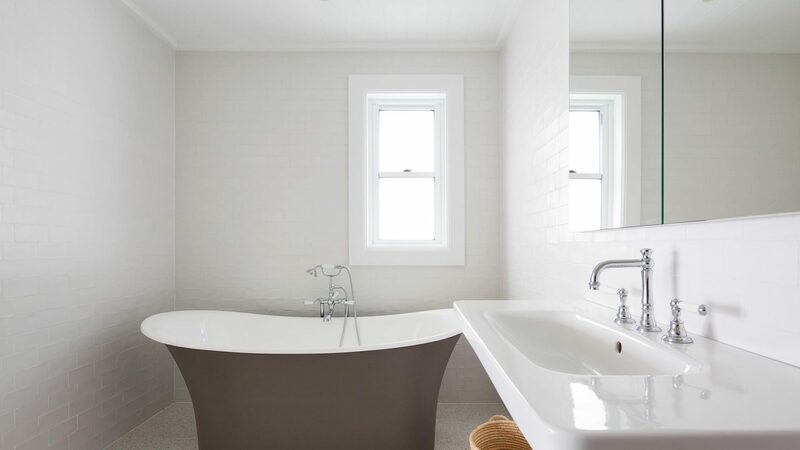 In order to properly and fully utilise the natural surrounds for this family of three, extensive internal reconfiguration was required. 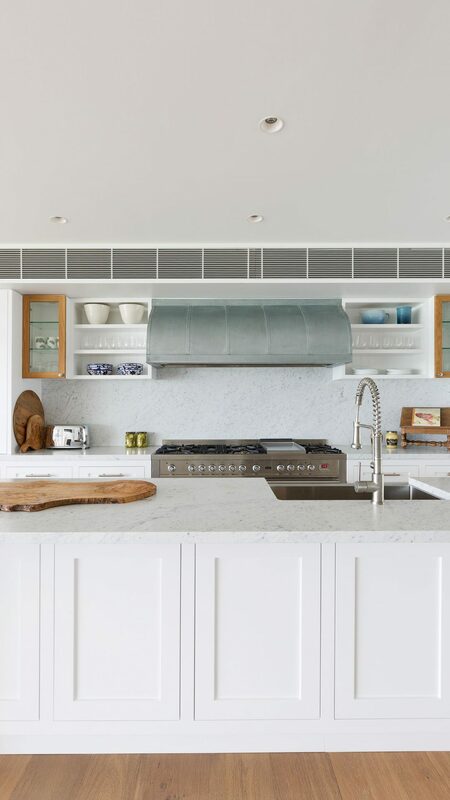 By opening up the rear with large panes of glass, a real sense of indoor/ outdoor living was established. 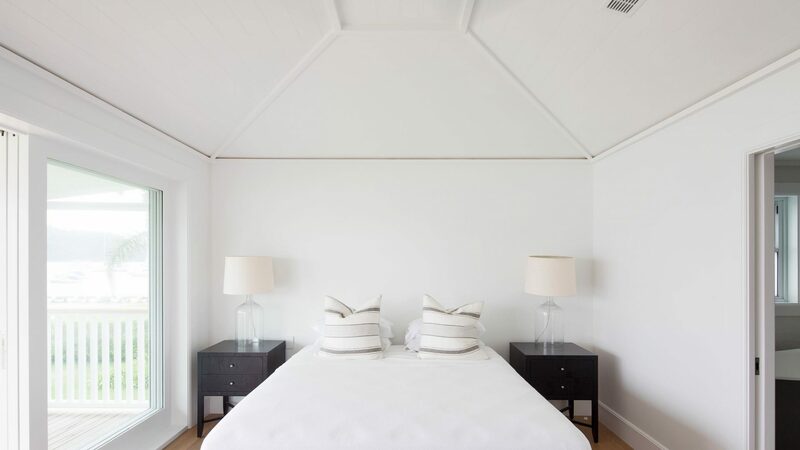 By moving a number of the bedrooms to face the courtyard towards the front of the property, a private villa atmosphere is achieved. 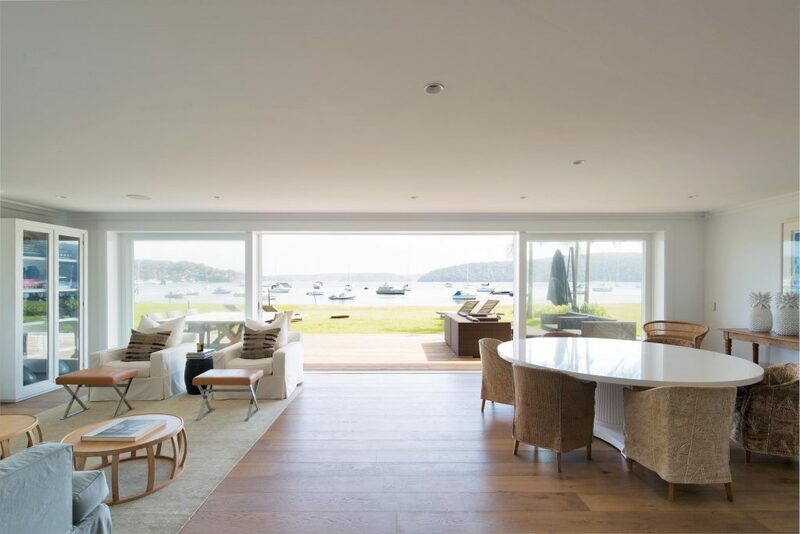 Doors open out to this secluded and green space, with views straight through the house towards the ocean. 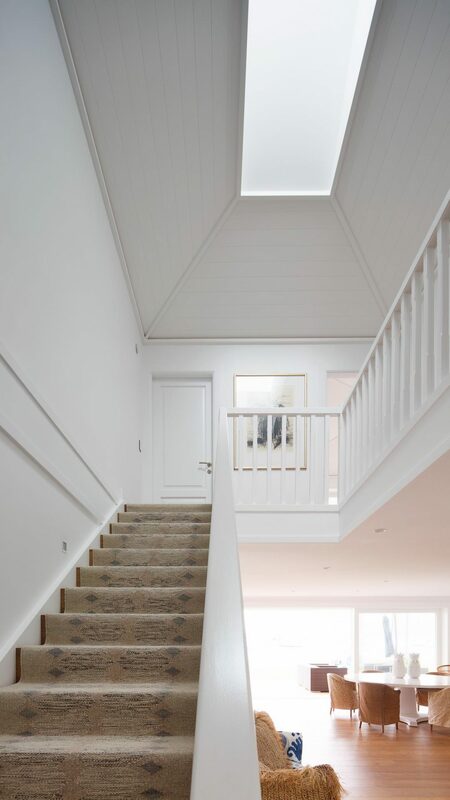 Another favourite aspect of this build was the amazing v-board clad ceiling above the main staircase. 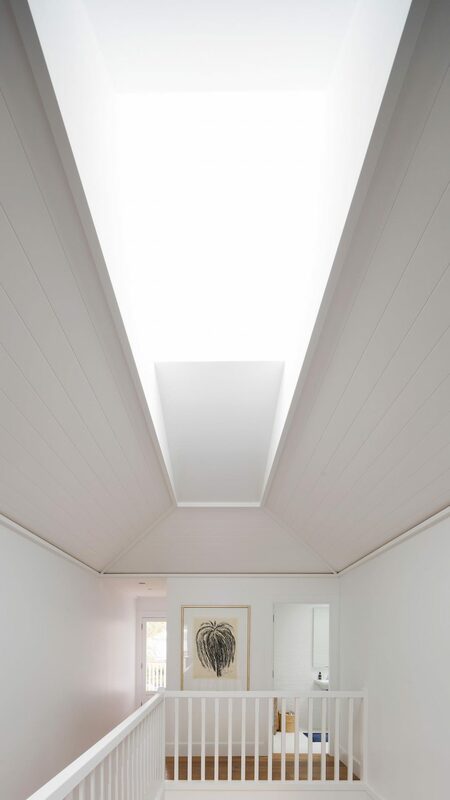 A skylight lets a flood of light enter this core space and it creates an amazing halo effect.